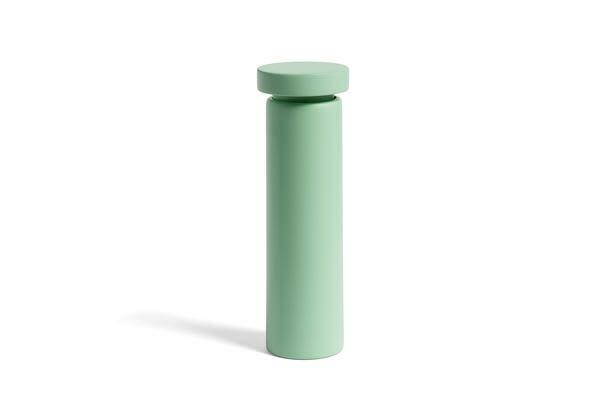 Interchangeable cylindrical salt and pepper mills in wood by Hay. George Sowden’s design features an integrated function inside the grinder that enables you to adjust the size/coarseness of the salt or pepper grain. Also available in dark grey.